Jaahhh mahn, chess at WH Beach. Thurs nights 6-9pm. 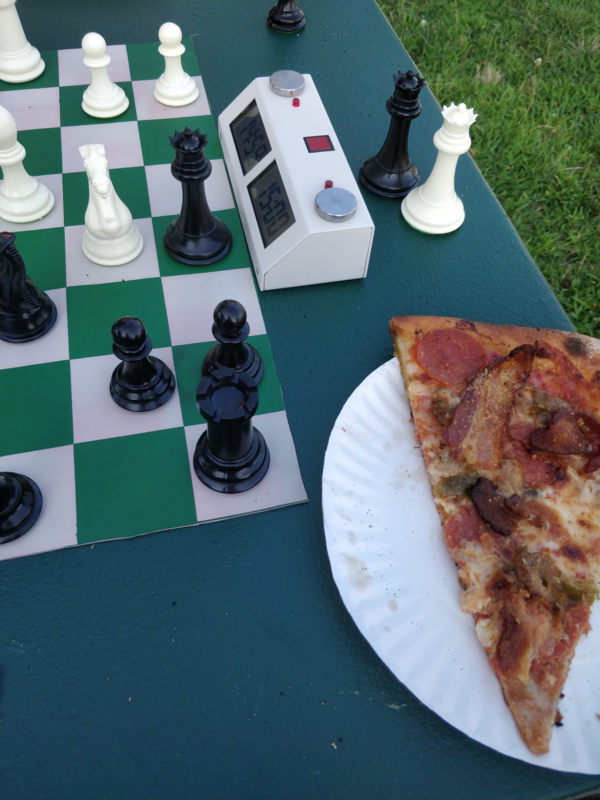 Let the good times roll…with Modern Apizza! and lecture…all 29 participants had a great time! Results for at 43th NECA in Stamford 49 players . 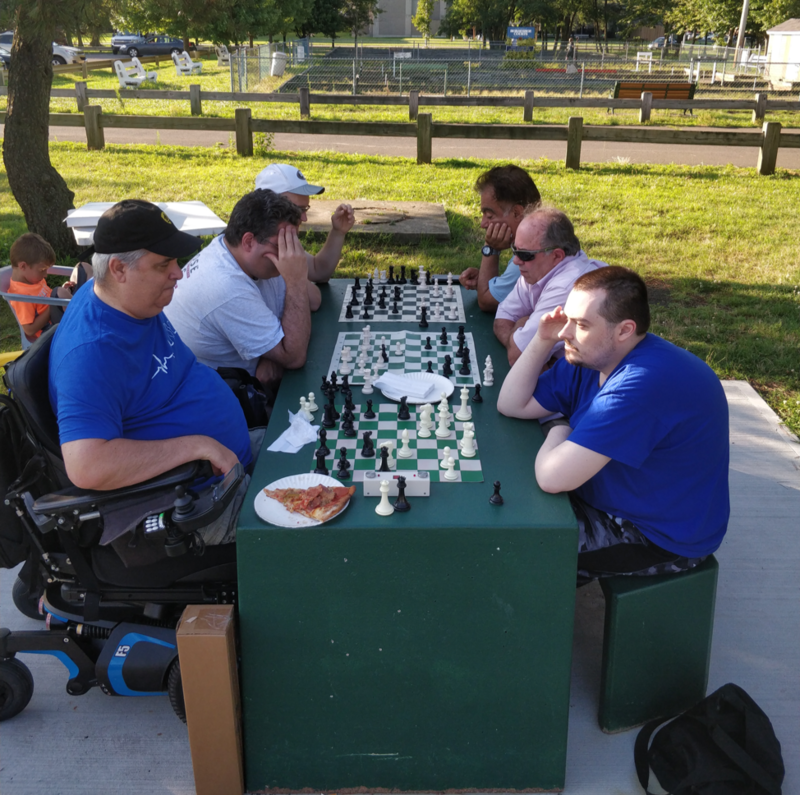 Results of 2018 Coventry Summer Open. Nelson Castañeda Alvarez wins NBCC Saturday Swiss. 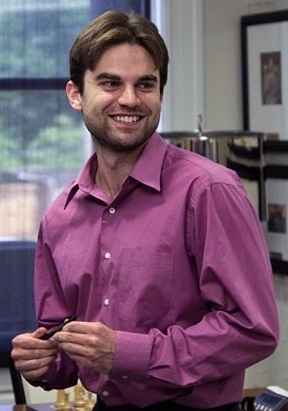 David Brodsky (NY) wins 24th Annual Northeast Open in Stamford. 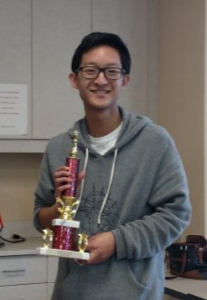 State High School Champion Yoon-Young Kim achieves an International Master norm at the CCCSA GM/IM Norm Invitational in Charlotte, NC winning his section with 7/9. 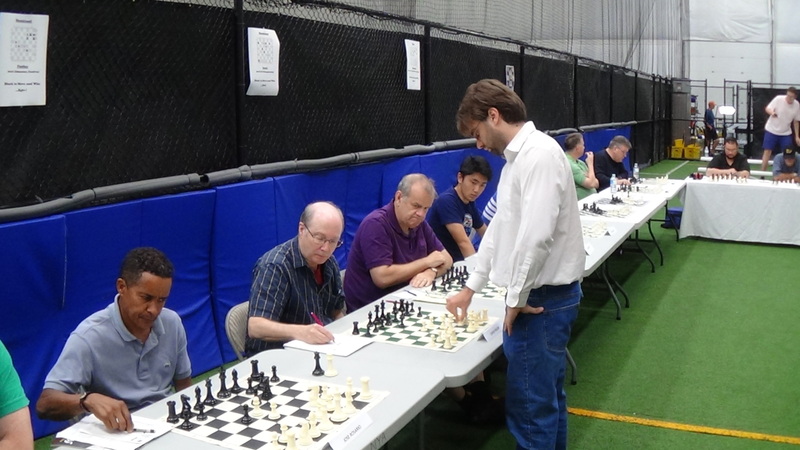 from left: Nelson, Rajesh and tournament organizer Norman Burtness. 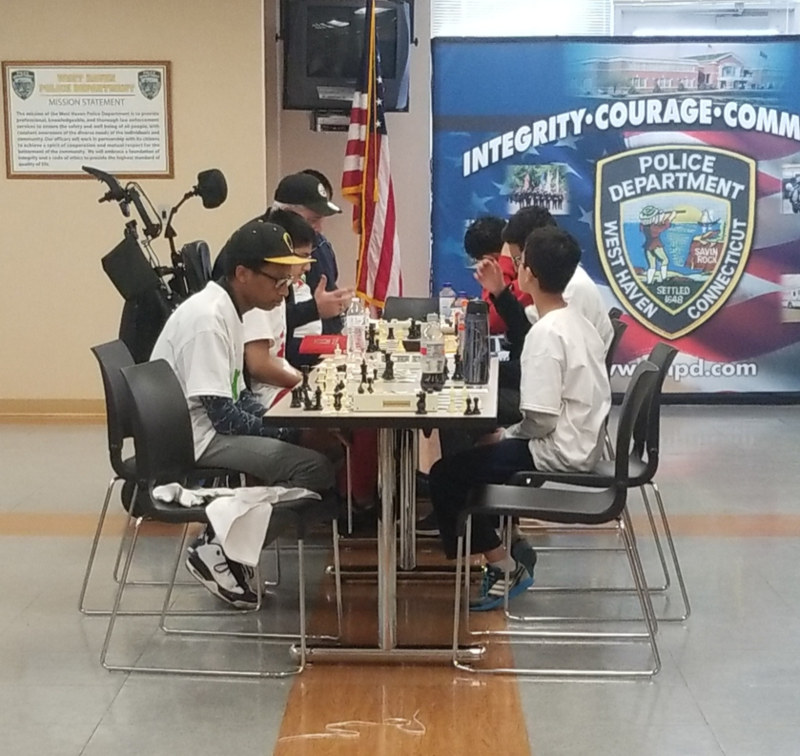 US Champion Simul in Newtown! Eastern Class Championships, Sturbridge MA. 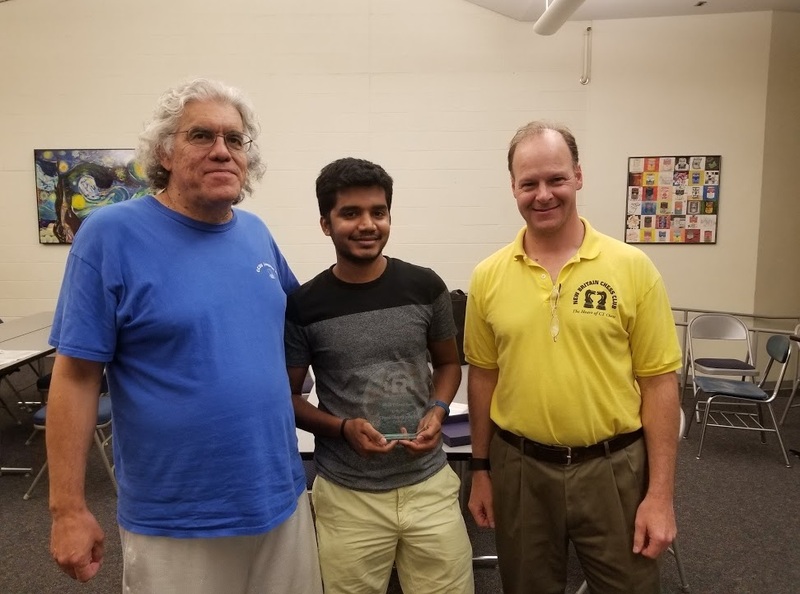 Suhas Kodali and Jithu Saajevan co-winners with 3/3 at 2018 Nathan Hale Open. Derek Meredith (2021Q) wins 2018 CT Rapids Championship! 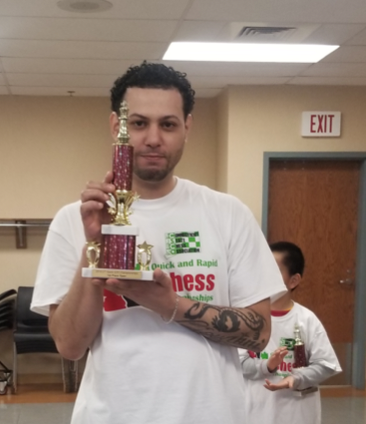 William Torres (2013R, 1919Q) is the 2018 CT Quick Chess State Champion! Congratulations! 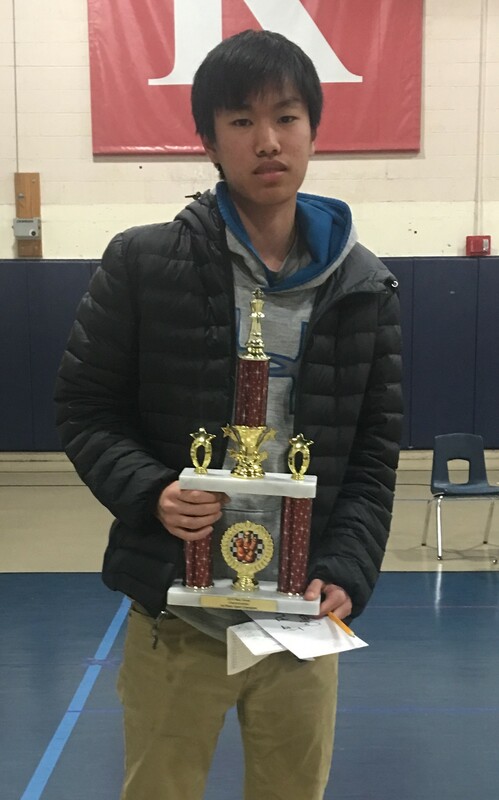 Yoon-Young Kim, Daniel Zhou and Beatrice Low have won the nomination to represent Connecticut at the Denker Tournament of High School Champions, the Barber Tournament of K-8 Champions, and the Girls Tournament of National Champions in Madison, WI this summer. 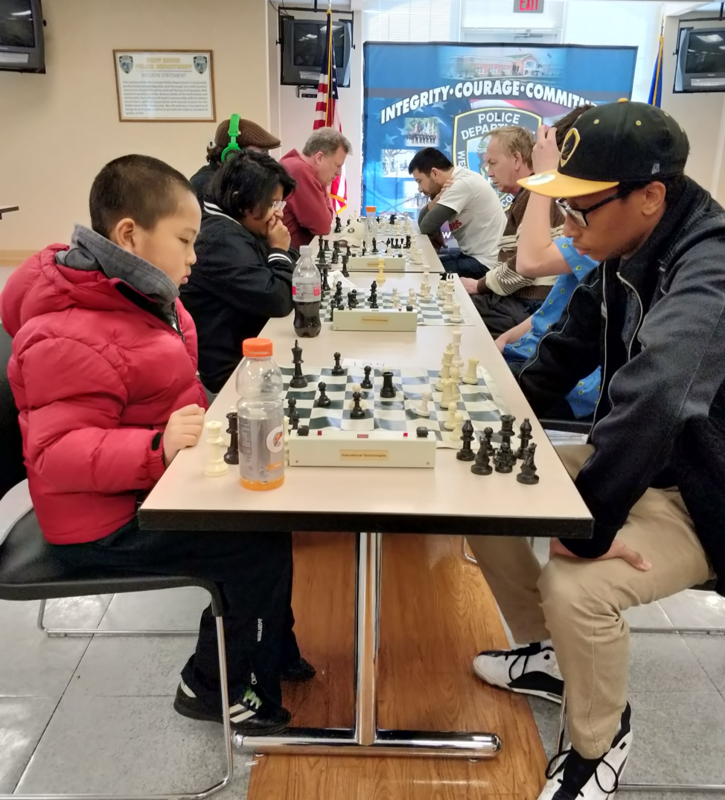 Master Yoon-young Kim (2377 –> 2381) wins 2018 New Haven Championships! Cold Spring School takes home 1st Place Team trophy! See Results. 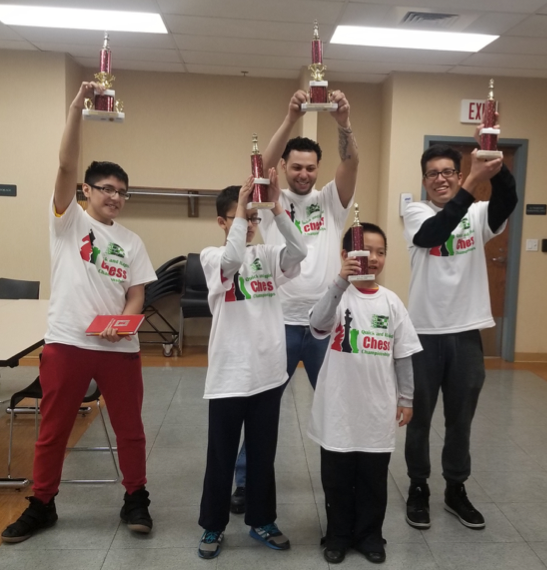 Master Arslan Otchiyev, 28, a Master Instructor at the Chess Club of Fairfield County in Norwalk, wins Connecticut Open State Championship held at Hall High School, West Hartford! 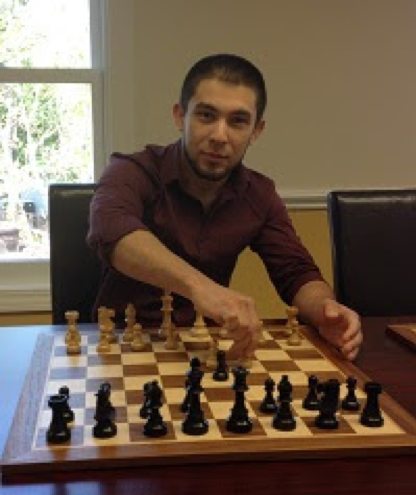 Arslan is a USCF certified “Life Master” with a USCF peak rating: 2409. 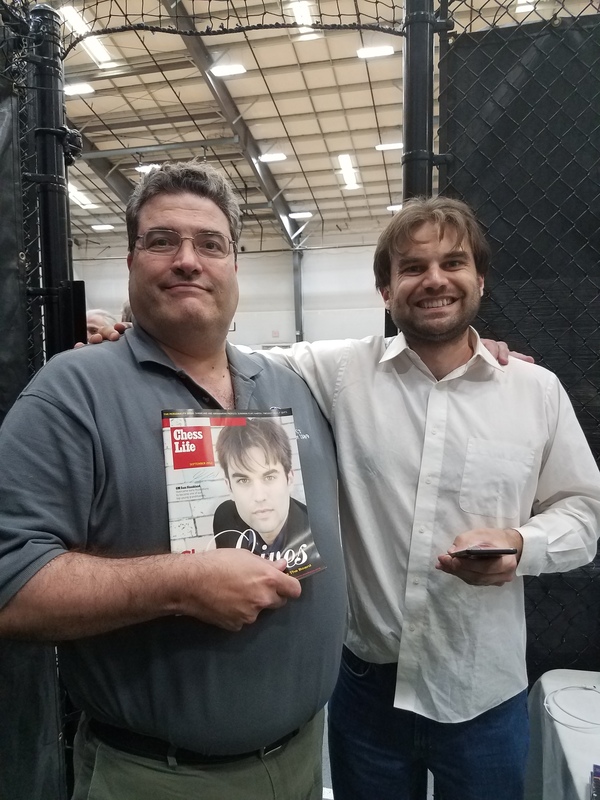 Currently residing in Connecticut Mr. Otchiyev is among the Top 1% of competitive players nationally in the U.S. He was six time national champion of Turkmenistan. 2018 Scholastic State Champions are Yoon-Young Kim (9-12), Sadie Edelman (4-9), Robert Ulmer (K-6) and Erik Nebylovych (K-3). 2018 Team State Champions are Ludlow Middle School (Fairfield), West Woods Upper Elementary School (Farmington) and Riverfield Elemenntary School (Fairfield). Full results of the High, Middle, Elementary, Primary School and Unrated sections. Rating report of the event. West Woods School wins 2018 Greater New Haven Open 1st Place Team ! 2017 CT State Blitz Championship! 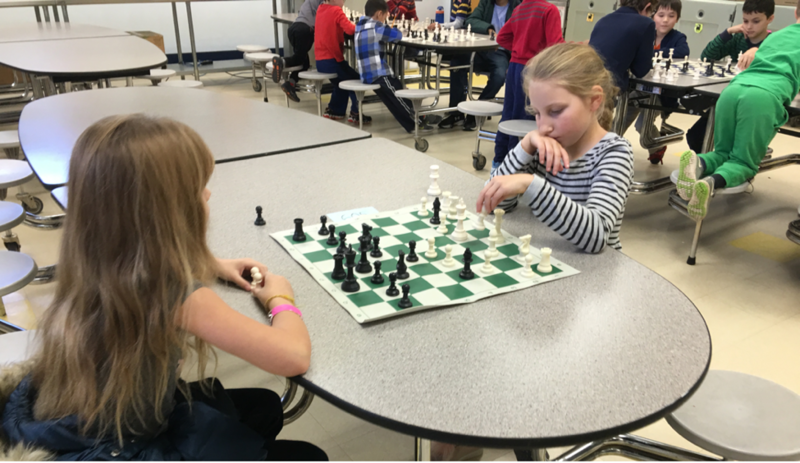 Girl Power Prevails at 2017 Greater New Haven Fall Open! If this year’s GNHFO had anything interesting about it, it was the strong performance of females in the scholastic sections. 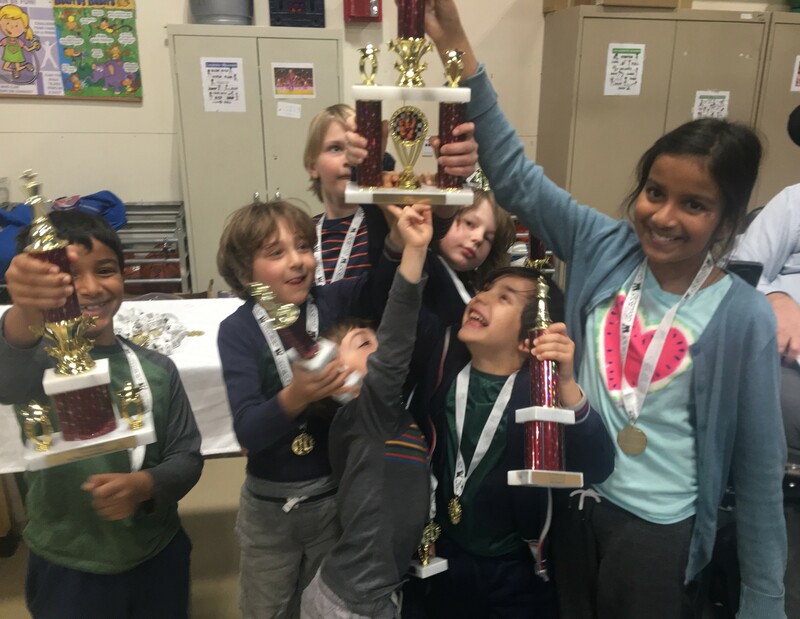 Sandhya Sudarsanam won the U1000 section with a perfect 5-0 score, Akshita Ashokkumar took 3rd in the U800 section, and Ripley Chance took first place in the Non-rated section, making this year’s tournament the best performance for females in the tournament’s 20 year history! 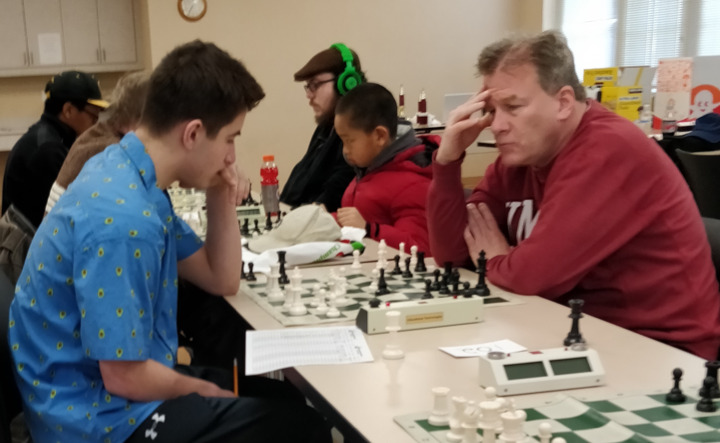 In the Open section, 2017 USOpen winner GM Alex Lenderman (2687) took clear 1st Place, with FIDE Master Boris Privman (2304) and 3 other Masters close behind..
Next tournament 2018 Greater New Haven Winter Open, Sat Feb 3. Tell your friends! 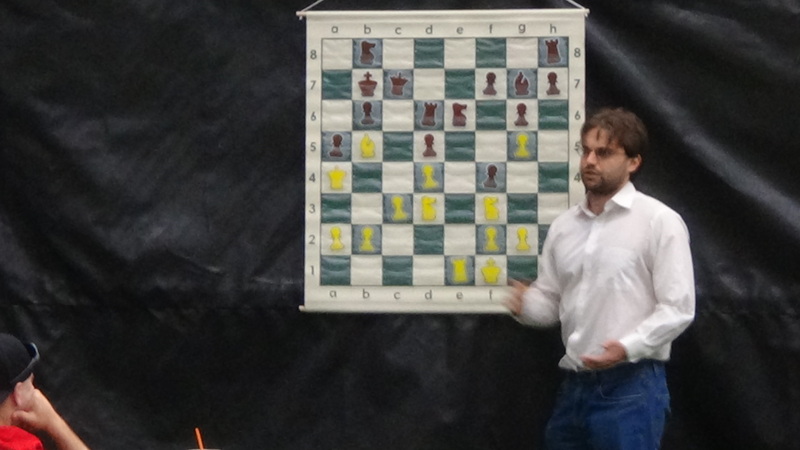 Finals of the NNGP to determine CT Representatives for nationals were played at University of New Haven. High School: Alex Palvinksi from Barlow High in Redding. Bartels Hall at University of New Haven. 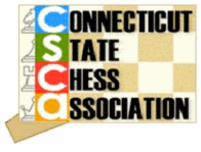 Press release for CCO Statewide Championships held in West Hartford and New Haven. Press release for Thomas Hartmayer Memorial. Final standings of NNGP are here. 3/9 Match Simsbury High School versus UConn was played in Storrs. Team Simsbury with the UConn Husky in front of Gampel Pavilion. Ted McHugh III from Simsbury won the 2017 CT State Championship, 2nd/3rd place tie-break went to Nelson Castaneda over Gary Shure. In the Candidates section, the top two finishers qualify for automatic seeding in the championship section next year. Class B, William Adamson, Class C, Harold Blanchard and Class D, Dhanush Kalandi. 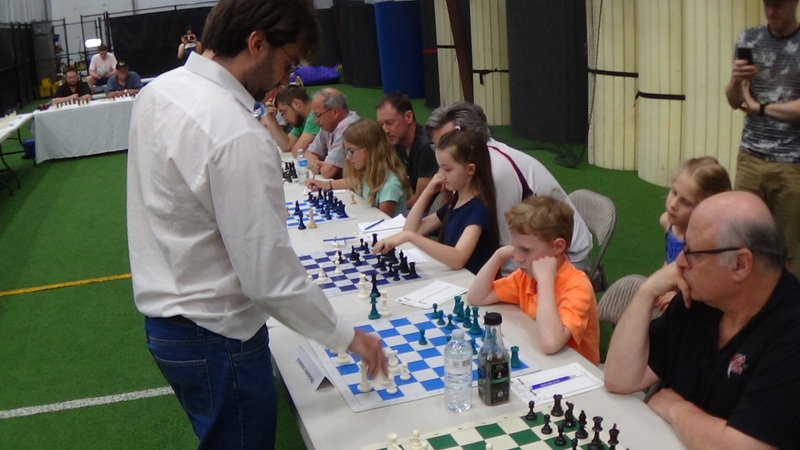 Overall, 20 scholastic players competed in the tournament. 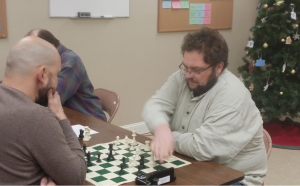 Above Ted with black during his game in the last round against Gary Shure. 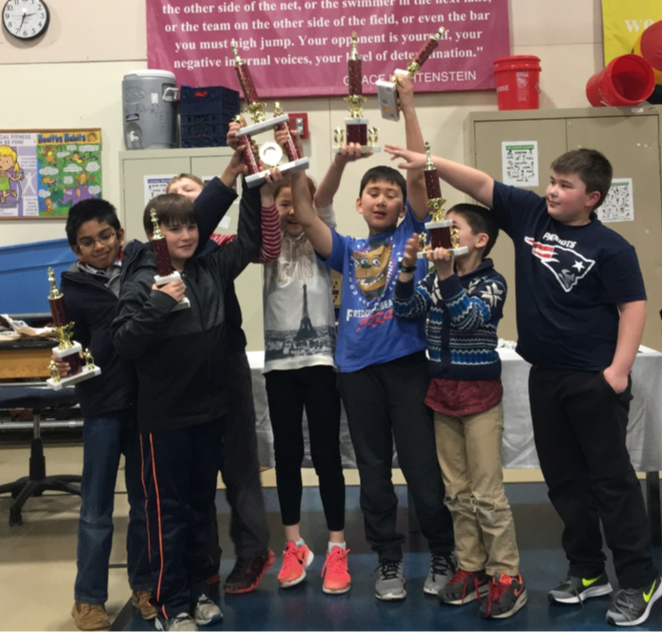 The first CT Scholastic Team State Championship was held at Hall High School in West Hartford – 25 teams (of 4 players each) participated. Standings of National Nominations Grand Prix are here. Feb 12th. See the amended flyer in the EVENTS section of this site.